How to calculate aluminum plate weight? when you want to buy some aluminum plate,you need to pay by aluminum plate weight,but do you know how to calculate aluminum plate weight? Actually,it’s really easy to calculate aluminum plate weight. Aluminum plate have two categories: pure aluminum(1 series of aluminum) and aluminum alloy. 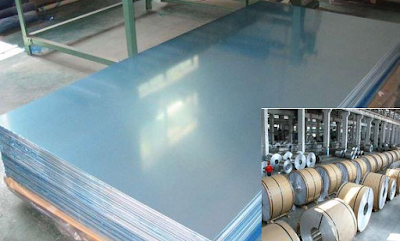 The density of pure aluminum plate is 2.71 T / cubic meter (g / cc). Aluminum alloy is divided into a number of series, commonly used for the 3 Series, 5 Series. The density of 3 Series aluminum plate is 2.73 T / cubic meter (g / cc). The density of 5 Series aluminum plate is 2.68 T / cubic meter (g / cc). For examp, How to calculate the 1060 aluminum plate weight : length 1 m * width 800mm * thickness 3.0mm ? Detect-Metals tell you the detailed steps about how to calculate aluminum plate weight,the leading supplier of aluminum plate for sale ,provide the best quality service.